Home » Gaming » There is a petition against Far Cry 5. Yes, really. There is a petition against Far Cry 5. Yes, really. 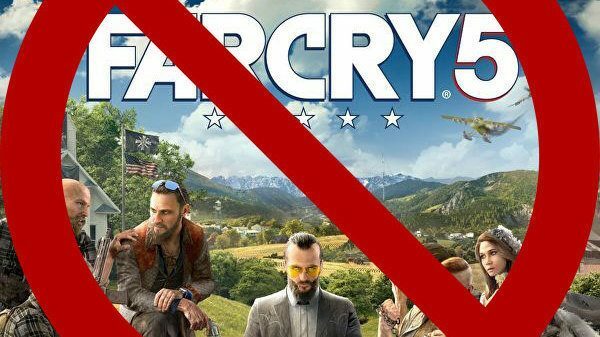 Apparently, a group called Gamers United wants Ubisoft to cancel or make changes to the just announced Far Cry 5 and they have a petition circulating to that effect. The group accuses Ubisoft of ‘being preachy’, ‘insulting to fans’, and condoning the ‘censorship of art’ in their games. And no, we aren’t going to go into the numerous factual and grammatical errors in the petition. The bottom line is, it seems like a few white nationalists are slightly upset that this new game may be vilifying them and their skin isn’t thick enough to take it. While I won’t run down a list of so many different media such as games, movies and comics where said ‘blacks and Mexicans’ as well as other minorities have been vilified for so long, I honestly have to say that this petition is, at best, laughable. Really, where are the facts that support that Islam is rising and inner city gangs are taking over? Last I checked, some of the most recent acts of violence seems to be coming from White nationalist groups against unarmed minorities, so please miss me with this. So, to be fair, we will not mention anything (such as the Waco Siege, the Oklahoma Bombings, the Wisconsin Sikh shooting, the Bundy Brothers stand-off or, any other ‘Alt-right’ groups) that white nationalists have done in the US since all minorities are villians. It just would not be fair to them at all. I guess we are going to skip the fact that the last few Ghost Recon games to be released by Ubisoft let you go about killing as many brown skinned people that you could possibly stand. Bolivia surely wasn’t happy about being called a nation of drug traffickers. I am guessing this means that these games are not being made by a whole bunch of old, stodgy white dudes who are afraid of their place in this world. These games are made by those from all walks of life who want to tell a compelling story and let the gamer take away from it what they see fit. The bottom line is this: Sure, go ahead and petition this game. I, as a black male, find it laughable that a game offends you so much that you need to do so, when many of us still have to worry about real life issues that our complaints fall on deaf ears. Speaking of which, I would be very surprised if Ubisoft looks at your very offensive and racist petition and actually listens to your suggestions. When they don’t, you know you can always not buy the game. 14 Comments on There is a petition against Far Cry 5. Yes, really. These are the types of idiots who give gamers a bad name. Needed a good laugh today….thank you. These are probably the same tools boycotting Wonder Woman. As a white dude, I will take a swig off that glass with you. I hope Ubisoft doesn’t cave. This game needs to be made. Specifically because of the subject being covered. Never really cared for Farcry so I probably won’t buy this one anyway, but this controversy does kind of remind me of RE5’s back in day when all the zombies were black because they were in Africa. I imagine this one will get far less press and pressure though. I don’t know why but I smell subjectivity in the air! 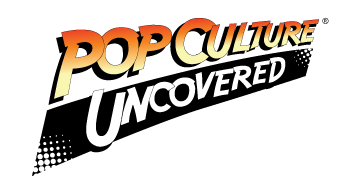 Subjective in the mere fact that a small group of people (and their kind of hatred) are upset that they may be front and center? Sure. (a) (1) Islam is really on the rise throughout the world. The muslim population is rising almost twice as fast as the world population. In the United States, the muslim population increased from 0.9% of the population in 2010 to 1.0% in 2016. Check your stats! (a) (2) Muslim extremists are responsible for almost all terrorist attacks globally, the remaining attacks being attributable to drug cartels. You can verify this for yourself by looking at the list of recent terrorist attacks. That being said, almost all victims of terrorist attacks are muslims living outside of North America, not American white people. (b) You might find it funny that some people shed tears or complain about life problems, and you might find this funny BECAUSE these people are white, but that makes you a racist. Yes, black people can be racists too, and white people — believe it or not — can be victims of racism. If and when people of colour get more power than white people, you will see them do all the evil things that white people are being accused of. Evil has no skin color. Being black does not protect you from being evil. As a matter of fact, tribes of black people are racist against neighboring tribes all over Africa (e.g. think about Rwanda and Sudan). So my point is : don’t be racist. Look at the facts, and realize that the colour of people’s skin is rarely relevant in solving most issues, unless people think it is. Kind of hard to be racist when you can’t gain anything from it. Now, another thing that makes what you said really stupid is that you claim that the Muslim almost twice as fast at the world population. Based on what factual evidence? Also even if that was true are you labeling every last one of them terrorists? What’s also lovely is telling someone to ignore race means to ignore every bit of what makes us who we are. I would love to have the privilege of waking up every day and not worry about my race, but ya know…society. Never has a more sensible sentence been written. Never has a concept completely gone above some gamers heads! I think a few people, who might be involved with militias and are gamers, took offense to this. I am not sure why it’s an issue. I think its a great premise for a Far Cry game (especially since you play as a Sheriff Deputy – that screams Walking Tall, btw), and addresses a situation that even conservative white communities are worried about – nutjobs that stockpile tons of weapons, consider themselves at war with the government, and want nothing more than to be seen as the next George Washington. Far Cry 5 is about a guy that has a skewed interpretation of reality, rallies tons of lawless gunslingers behind him, and intends on forcing his will on others. It has nothing to do with an attack, specifically, on white Christian conservatives, and everything to do with classic Far Cry storylines – an outsider warring with a lunatic.